IBM MQ is the gold standard for enterprise messaging, providing security-rich and reliable messaging on premises and across multiple clouds. Create your queue manager with just a name and a click. You’ll automatically receive a basic message queue configuration, with an underlying infrastructure provisioned. 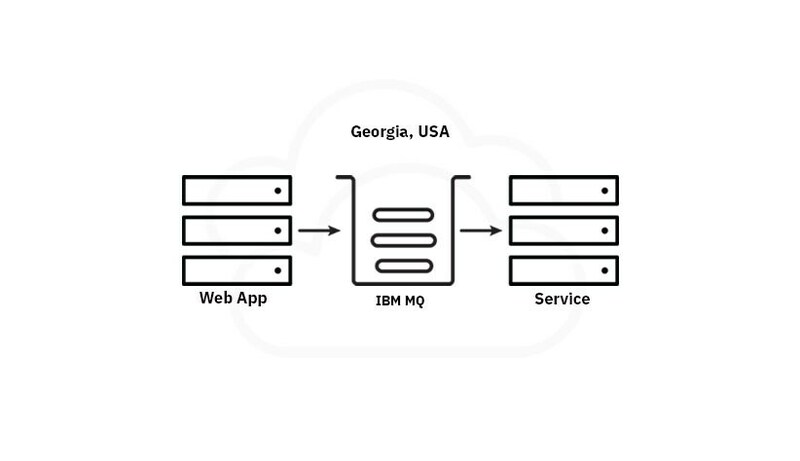 By combining this service with IBM MQ on premises, you’ll have hybrid connectivity in less time than ever. You’ll also have access to a guided tour that teaches the principles of IBM MQ. You no longer have to maintain, monitor, upgrade or patch your systems running IBM’s message queue. We'll do all of that for you, so that you can focus on your applications. Only pay for what you use. Thanks to the flexibility of hourly licensing, you can quickly and easily scale your message usage to respond to seasonal peaks and increased demand. Combine your IBM MQ on Cloud service with your on-premises queue managers, public clouds or private clouds. All of your estates will be connected in one trusted message queue technology, and they’ll be up and running more quickly and easily than ever. Your company has a mobile application that allows customers to track the building of their new cars. Your build process system, which lives on the cloud, uses IBM MQ to receive messages about the status of each car being built. IBM MQ then sends the information to the app to give customers reliable, real-time information about the progress of their cars. Your company uses a mobile app on the cloud to facilitate e-commerce transactions. 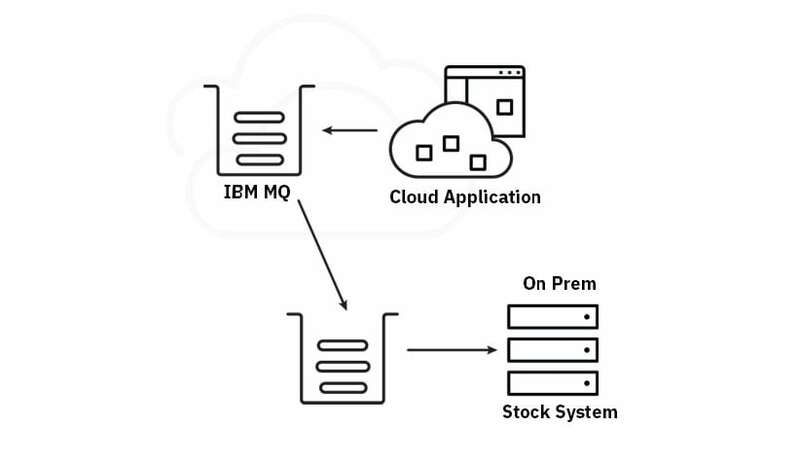 IBM MQ on Cloud connects the on-premises stock system with the consumer application to give users real-time information about what products are currently available. Your company hosts its core IT systems in San Francisco, US, but its packages are processed in a depot in London, UK. 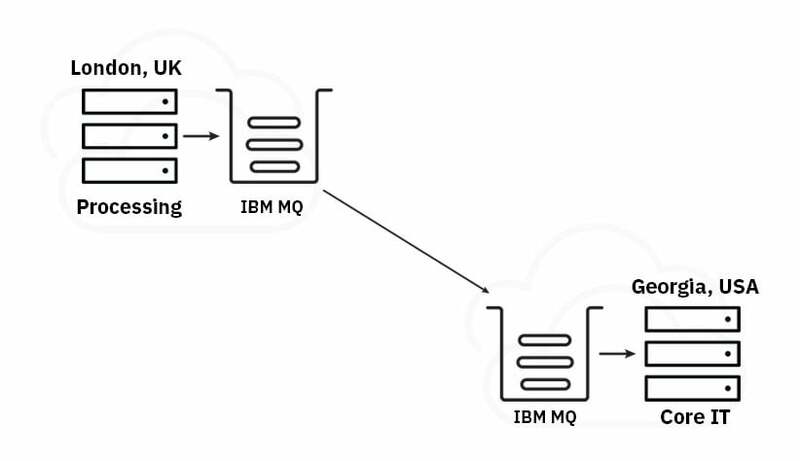 IBM MQ on Cloud reliably transmits the messages from one location to another. It enables the UK office to encrypt "send" data about every package that needs to be tracked, and trust that the information will never be lost. It also enables the US office to receive and process that information more securely. IBM MQ thrives at integrating different applications across multiple platforms. 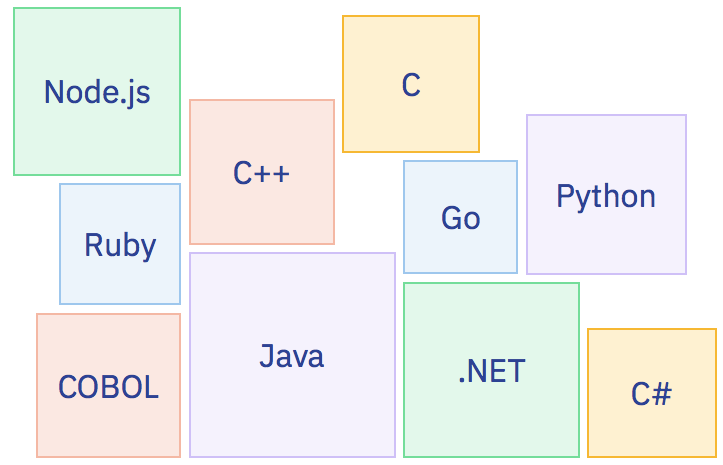 It supports a wide range of APIs and languages. IBM MQ enables the server infrastructure to be run across desktops, mainframes and, now — cloud frameworks. How IBM MQ can help with speed, complexity, reliability and security. See how our devs configure, run, and integrate IBM MQ with AWS. The strengths of IBM MQ in a top-specification, physical appliance that is easy to set up and maintain. The power of IBM MQ combined with the reliability of the mainframe. Use your IBM MQ network to extend to mobile, move file content data and encrypt data at every stage of its journey. In the trial you will provision a queue manager, register an application, administer the service and more. Access an enterprise-grade service to enable systems and applications to communicate. Connect existing systems to mobile and cloud environments. Progressive disclosure of advanced integration features, neatly packaged to make it simple and efficient to acquire and manage. API management solution that enables automated API creation, simple discovery of assets, self-service access for developers, and built-in security and governance. An event-streaming platform based on Apache Kafka that helps you react to events in real time for more-engaging customer experiences. Deploy IBM MQ on the IBM Cloud that’s behind your own firewall. Use your existing IBM MQ licenses to get started on any cloud. Enjoy a managed IBM MQ experience on the IBM Cloud or Amazon Web Services (AWS).